« New criteria required to define LV dilatation ! 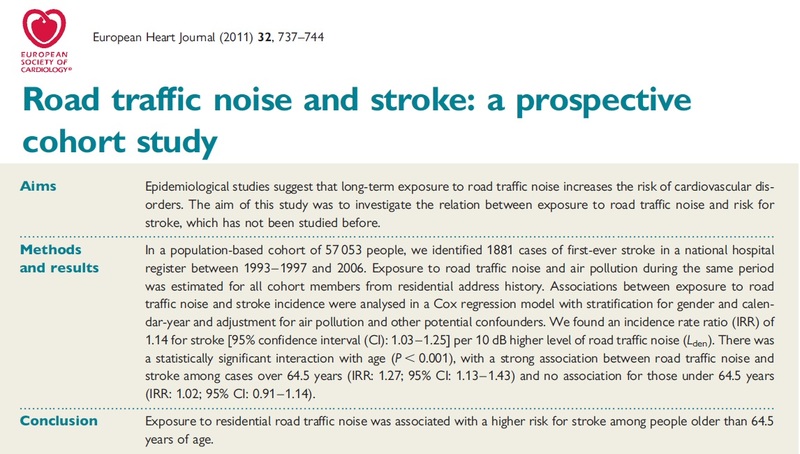 A deadly cardiovascular complication of noise pollution ! Human ears , are not meant to hear only the pleasant sound . We live in a noisy world. It is believed every cell in the body has ( Auditory ?) sense receptors. But , the noise is perceived only at brain .It is incidental our ears are located right beside the brain , adjacent to parieto -temporal cortex . The auditory nerve has its nucleus located dangerously close to vasomotor centers of brain stem . When excess noise enters our ears it vibrates the brain stem as well . Noise travels in the nervous system as electrical impulse , so it is natural for to expect a spill over to the nearby adrenergic centers . A sudden explosion or a thunder will skip a few heart beats is it not ? Similarly , when we experience pleasant sound / melody** it soothes the nerves , this forms the basis of musical therapy. So it is logical to conclude , when the nice music has a capacity to heal , unwanted noise is expected to injure our biological system. ** A rock fan under the influence of drug may feel a every nonsense as melody . . . is a different story ! It is observed strokes and MI are more common in urban areas congested with traffic chaos. Here is an article from European Heart journal with solid evidence on this topic. Relative hypoxia , Air pollution in noisy environment . *A distinction must be made between chronic noise pollution vs Acute noise intoxication. For those who want more depth in this topic , I was surprised to find this exclusive journal that documents noise and human health . Excessive noise can have a detrimental effect in the nervous system . Since cardiovascular system is also under neurological command it is expected to share the ill effects. A comforting news for healthy men and women . 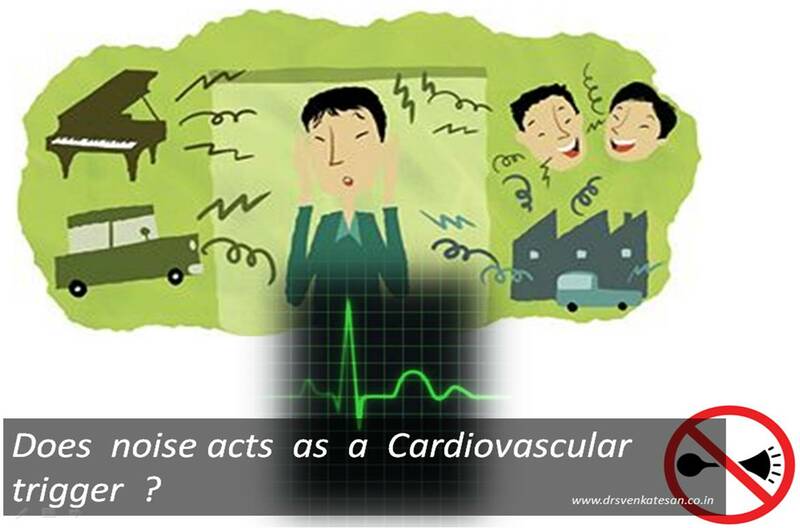 Noise per se can not be termed as a coronary risk factor . It can (at worst ) be a trigger for an event in individuals who have other major risk factors.